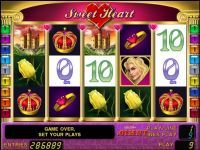 Playing sweet heart is a linear nine five reel video slot with the possibility of doubling the risk of winning the game. 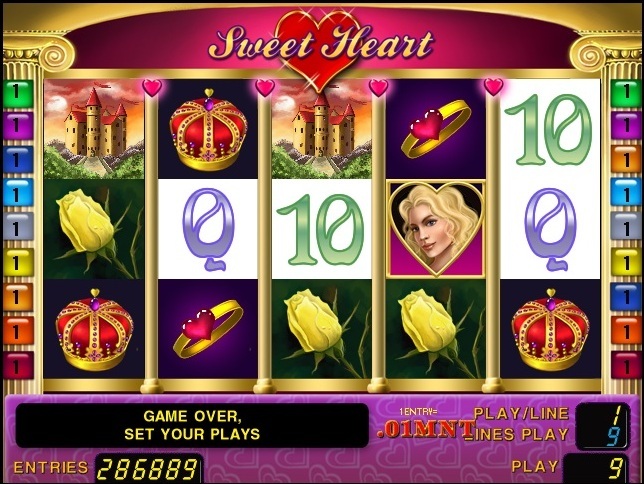 Minimum rate - 1 Bet Max - 900 At loss 3,4,5 symbols "scatter" run 8, 15 or 20 free spins respectively. During the free spins the reels wild symbols appear randomly increasing the gain.